TuxCon conference about free and open source software and hardware technologies is this weekend! 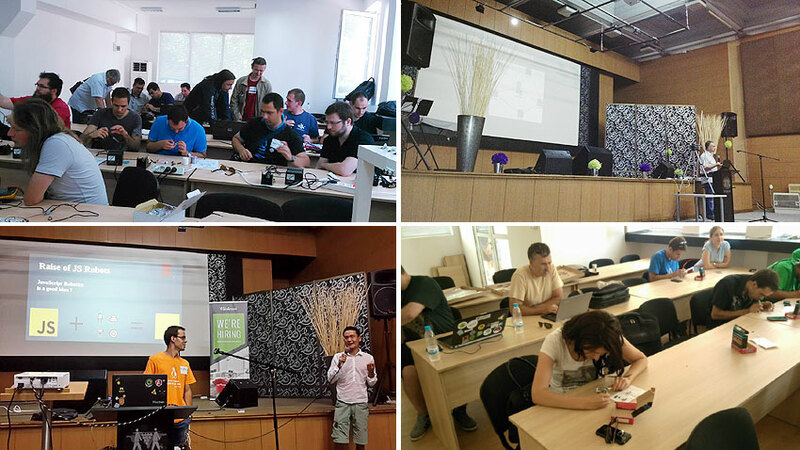 TuxCon 2016 will be this weekend 9th and 10th of July in Plovdiv. Be prepared it will be hot weather, prognosis are for 30-31C in the weekend! BNR (Bulgarian National Radio) posted about TuxCon today. The conference start at 11 o’clock with Reactive Java Robotics, Jitsi Meet, Security updates in GNU/Linux distributions and Open source in Education Welearners project. After the lunch we will continue with Retro Computing, Open Source tools for FPGA, How to calculate 3D coordinates with 2D camera, Android customization, Open SCAD, How to use Open Source for corporate needs, MOVI voice recognition with Arduino. Lighting talks at 18.00 will close the first day and we will move to the traditional beer party in popular Plovdiv pub with Free Beer from TuxCon sponsors (Free as Beer not as Speech 😀 ). In Sunday three workshops will be held in Olimex training building, starting again at 11 o’clock. Reactive Java robotics, Open Source Hardware Robotics and First steps in FPGA for absolute beginners. FPGA for absolute beginners will introduce in popular way what FPGAs are and how they evolved with time, how they are programmed. We will emphasis on the first FOSS tool to work with FPGAs – IceStorm and we will make our first blink LED demo, then will take look at more sophisticated code of video generation and how to make small game like Flappy Bird on iCE40HX1K-EVB. TuxCon is free to attend, everyone with interests in Open Source Software and Hardware is invited.